A Galactic Nebula Cosmic Porthole. 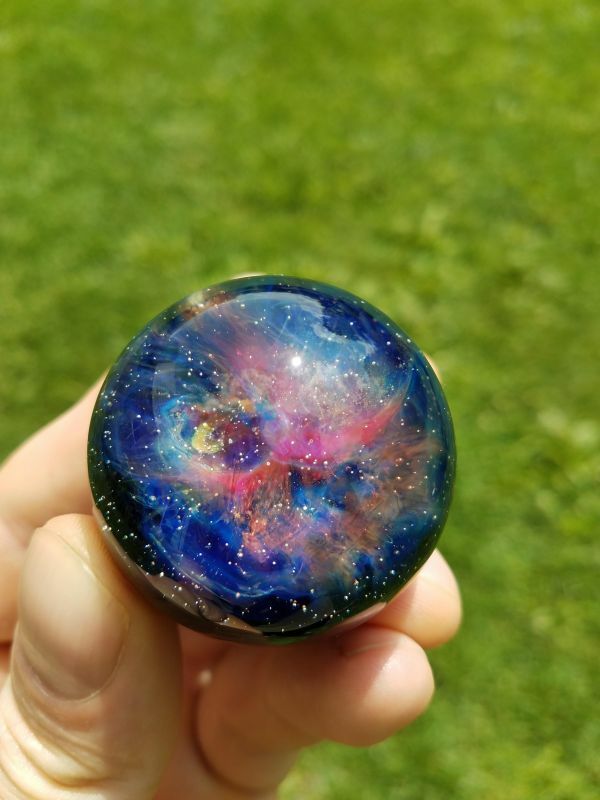 Glass orb. All the little specks are balls of pure silver.